This course offers you a chance to blend creative and critical approaches to literature. You can study literature from Old English to the contemporary period, including American and postcolonial literature and world theatre. You’ll produce creative work across genres, including fiction, poetry, plays, life writing, screenplays, short fiction and/or travel accounts. This degree combines creativity with critical thinking, developing transferable skills in research, communication, and project management which are highly regarded by employers. The School includes leading poets and academics who are experienced creative writers. You’ll be taught by researchers of international significance whose expertise spans the historical and geographical spheres of English literary tradition. Leeds has fantastic facilities for English and Creative Writing students and the School of English has a rich history of creative writing. We regularly host readings and talks by well-known and emerging contemporary writers and you’ll have access to a vibrant community of researchers and creative practitioners. The highly respected literary magazine, Stand, is produced in the School, and publishes the best in new and established creative writing. 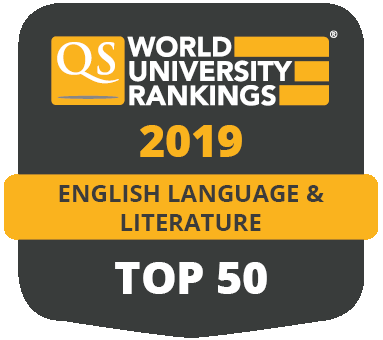 Our alumni and former staff include founding figures of African national literatures Wole Soyinka and Ngugi wa Thiong’o, poets of great acclaim such as Geoffrey Hill and our current Professor of Poetry Simon Armitage, and J. R. R. Tolkien, the leading fantasy writer of all time. The world-class Brotherton Library has an array of archive, manuscript and early printed material in its Special Collections, including extensive archives of prominent contemporary poets including Simon Armitage and Tony Harrison. All of this will be valuable for your independent research, and the University Library offers training programmes to help you make the most of our resources. This information is for our course starting in September 2020. If you've applied to study with us for 2019 entry, you can see full details of your coursehere. In your first year, you’ll study foundational modules in English Studies and Creative Writing, designed to help you to make a successful transition to university study. You’ll develop your skills as a critic and as a writer, explore key literary genres, and we’ll introduce you to literary theory and criticism. In the following year, you’ll continue working with our creative writing experts to develop and diversify your creative portfolio. You’ll choose from core modules focusing on different historical periods to explore how literature has evolved over time. You’ll also choose from a wide range of option modules, from Jacobean drama to African literature, crime fiction stylistics, and specialist creative writing options. This choice of core and option modules continues into your final year, when you will also produce the highlight of your degree – your Final Year Project. This creative project, on a topic of your choice, will showcase your development as a skilled writer and a creative and critical thinker. We use a variety of teaching and learning methods to help you benefit from our tutors’ expertise. Small-group seminars are at the heart of this degree, and you’ll also encounter lectures, workshops, one-to-one tutorials and supervisions, group work and online learning through the Virtual Learning Environment. Independent study is also a vital element of this course, since it enables you to develop your research and critical skills, form your own ideas, and experiment with genre, style and voice. You’ll produce a creative portfolio composed of a range of genres, including life writing, fiction, poetry, plays, screenplays, short fiction and/or travel accounts. Your Final Year Project comprises a long independent creative piece and a critical reflection. English modules are assessed using a range of methods, including exams, essays and shorter written assignments. In some modules this may extend to online exercises such as wikis or podcasts, library exercises or oral presentations. A-level: AAA including English (Language, Literature or dual Language and Literature). Pass diploma with 60 credits overall, including at least 45 credits at level 3, of which 30 credits must be at Distinction and 15 credits at Merit or higher. The Access course must follow a Humanities pathway and/or include English modules. An interview and a piece of written work may be required. D3, D3, M1 including D3 in English. 35 points overall with 17 at Higher Level including 6 in English at Higher Level. Irish Highers (Leaving Certificate): H2, H2, H2, H2, H2, H2 including H2 in English. AA in Advanced Highers including English and AABBB in Highers or A in Advanced Highers English and AAABB in Highers. European Baccalaureate: 85% with 85% in English. Typical Access to Leeds offer: ABB including A in English (Literature or Language and Literature) and pass Access to Leeds. A degree in English with Creative Writing equips you with a range of transferable skills in addition to your subject knowledge. Your skills and experience as a flexible and imaginative writer will open up a range of pathways within the creative industries. You’ll be an excellent communicator who can present and defend your views clearly, whether verbally or in writing, and be confident working independently or in a group. You’ll have strong organisational and time management skills from managing your own workload. Crucially, you’ll be able to conduct thorough research, interpret and analyse complex information and then think critically about what you find to draw your own conclusions. All of these qualities are very attractive to employers, and graduates from the School of English have gone on to find success in diverse careers within and beyond the arts. They include the creative industries, advertising and marketing, education, journalism, law, publishing, radio and television as well as administration, business and finance, charity work, the civil service, management, management consultancy and social welfare. Many have also progressed to postgraduate study.